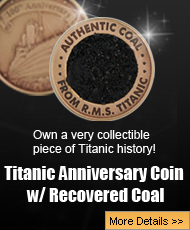 It takes more than one error to cause something as catastrophic as the Titanic disaster. According to a recent post on Printwand entitled “How an ‘Unsinkable’ Marketing Campaign Led the Titanic to Disaster,” the White Star Line’s marketing campaign may have helped contribute to the Titanic sinking. The idea of a marketing strategy causing a ship to sink might seem a bit strange. After all, marketers weren’t in charge of the ship’s construction or operation. And they couldn’t have caused or even predicted the environmental conditions that led the Titanic to collide with that iceberg. But there’s a relatively simple concept that experts often overlook: words lead to actions. In a sense, the Titanic‘s marketing was quite effective. With the help of posters and brochures detailing the Titanic‘s luxurious atmosphere and promises of fortune and prosperity in America, over 1300 passengers of varying socioeconomic status boarded the iconic steamship. Yet it may have been the Titanic marketing campaign’s extravagant claims of an “unsinkable ship” that ultimately led to its downfall. 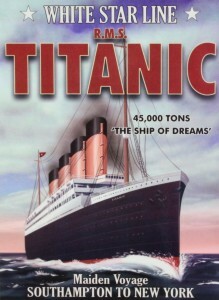 Thanks largely to White Star advertising and the public’s unbridled word of mouth, the Titanic‘s crew and passengers were all quite confident that the ship would not sink. As a result, few questioned the shortage of lifeboats or the ship’s excessive speed. What use are lifeboats on an unsinkable ship? 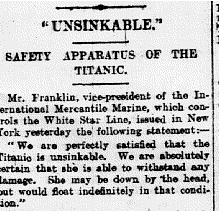 Perhaps it was this misplaced confidence in the ship’s unsinkability that triggered the events which caused over 1500 people to drown. Printwand’s article makes compelling points about the power of marketing and the effect that printed and spoken words have on our actions. Most importantly, it offers tips and guidelines for how the mistakes made by the White Star Line’s marketers might be prevented, hopefully ensuring that a disaster as huge as the Titanic sinking doesn’t happen again.